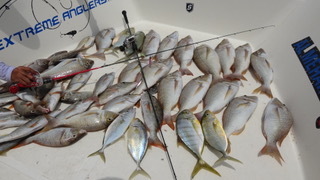 Extreme Anglers Marine Equipment based in Abu Dhabi, United Arab Emirates. 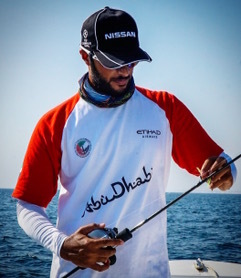 Salem Almehairbi is the founder of Extreme Anglers shop & Team. His Passion and great insistence is to practice and learn the latest techniques in fishing. In 2013 he began to travel to other countries specialising in this sport and one of the most important being Japan (which invented this sport). There he learned a lot of modern methods and, with the grace of Allah Almighty, he established his tackle business on the experience and knowledge in modern fishing. 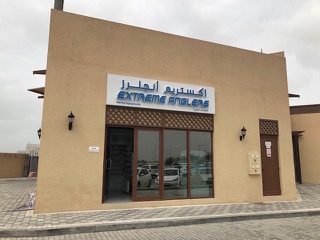 Therefore Extreme Anglers became an authorized distributor in all GCC region and agent of most popular brands in the world. His fishing experiences highlighted that the imported products were not all suitable and were not designed for the UAE Sea. He also noted that there is a large gap in the market for the Gulf identity in the fishing industry. He began designing the product he dreamed of and designed the first product in 2016 by Building the first brand in UAE with high quality designs under Japanese standards quality and in accordance with the climatic conditions of the UAE and the Gulf region.